The best intermittent fasting method is simply called healthy eating. Healthy eating is when one eats once a day. 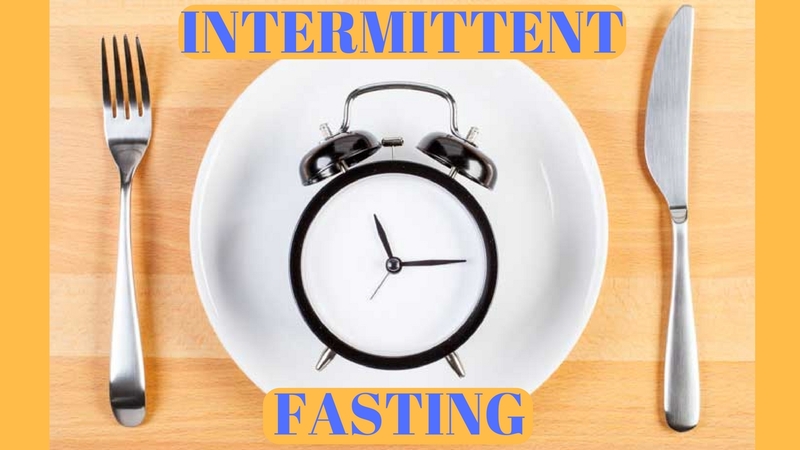 And, it’s always beneficial to skip a day or two of eating every now and then for the best intermittent fasting method. All creatures eat this way, not because that’s what they decide to do but because that’s how nature works. Creatures won’t eat anything they are not supposed to eat. You can’t convince a horse to eat a cheeseburger nor should you. Animals will not eat out of your diet, out of their instinct. Humans are completed resolved from this as we no longer have instinct. Intermittent fasting or a healthy diet is eating once a day. Why is this? Because when you are not eating, your bodies natural functioning is cleaning up the inside of your cells. The internal cleansing of our cells cleans up the nonfunctioning organelles; mitochondria, bacteria, pathogens, or the things that are clogging up the works. These things are eaten up and recycled for fuel. When we go to bed tired and then wake up in the morning with energy is because the internal cleansing process, while you slept, went to work and recycled the tired and worn out mitochondria. Instead of one molecule of glucose producing 36 ATP, it may only be producing 21 ATP. Then, we go to sleep, theirs is no more eating so no more glucose going into the cells. And our internal machinery in our cells goes to work gobbling up the older, worn out mitochondria and recycle them and use them for energy. Why is this important? Because we need to maintain 1 billion ATP. ATP is the energy currency of biology and we need to maintain at least 1 billion ATP inside each cell at all times. We need this output to carry on the trillions of chemical reactions required by the body every second. When we are not ingesting anything that can be turned into glucose, then we are breaking down intracellular products and eventually extracellular. Examples of this happening in nature are a Bear, Lion or Elephant. These animals might be in an area where they don’t eat for two to three days. This system or availability and unavailability of food is an important part of the maintenance of the equipment. Think of the body as the equipment and the way the cells work. The cells work better when they are not fed all the time. It’s important to remember that eating is critical in order to get nutrients, however, the time spent not eating is the time spent assimilating all that you have eaten. If a person eats all the time, then the body is busy processing what you are eating. It doesn’t have a chance to properly utilize the food. It also doesn’t have a chance to get rid of the waste. Equal to eating is not eating, this needs to be looked at and taken seriously. Here’s a good rule to follow, don’t eat until what you already ate, comes out in the way of a bowel movement. Humans should have at least 18 hours in between eating meals. The word breakfast or “break” “fast” means a person doesn’t have to eat the moment they wake up. Don’t break your fast until 2:00 pm on the following day. When you do this and go without eating for at least 18 hours, you’re stimulating your entire system to clean itself and to produce important anabolic hormones. When you do this your internal cleansing system goes on a scavenger hunt and cleans up everything. A water fast produces ultimate healing. Whatever health issues you have prior to a water fast will be gone post fast.